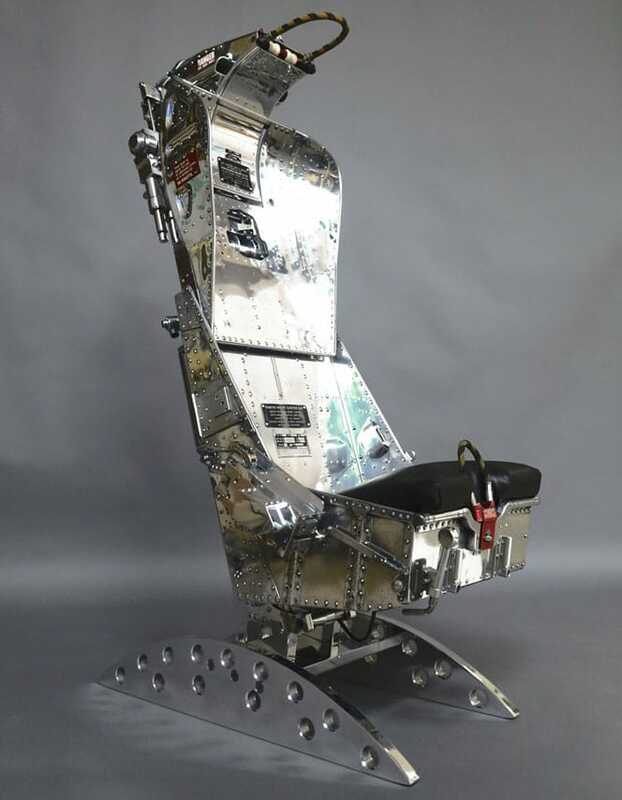 We have a range of stylish recycled ejection furniture seats. 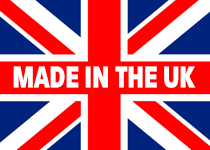 The mainstay of our range is the British made Martin Baker ejection seat. 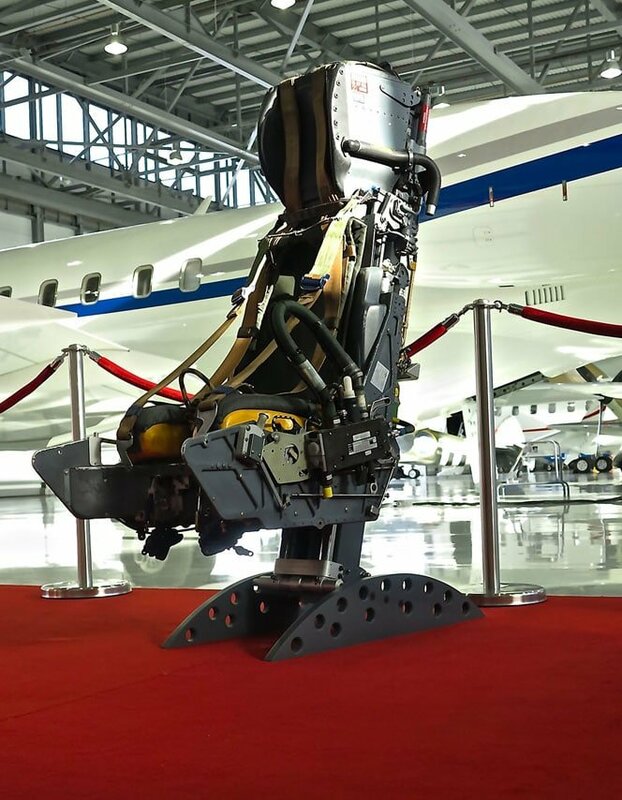 Founded in 1934 and based in Buckinghamshire, Martin Baker is the world-leader in ejection seat manufacture and technology. 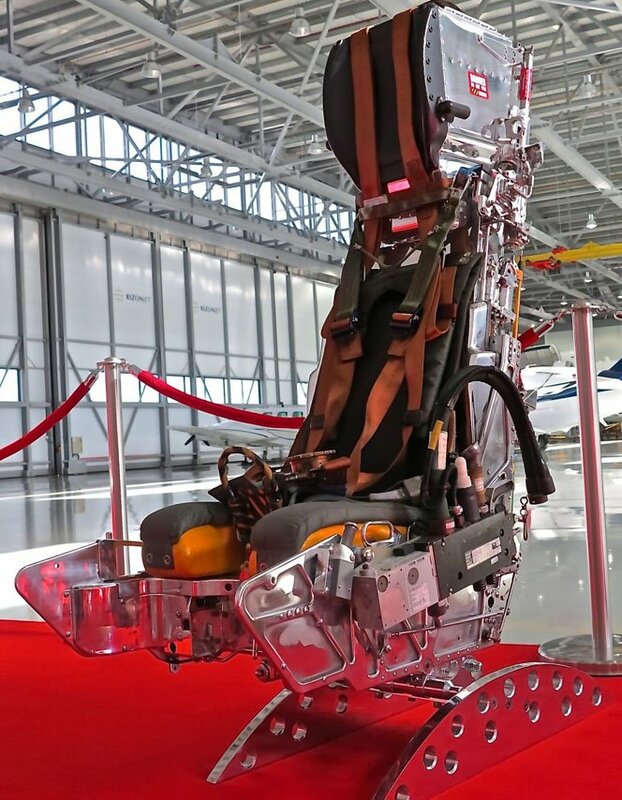 PLEASE NOTE: None of our seats contain any explosive cartridges and have been re-styled to form functional chairs. 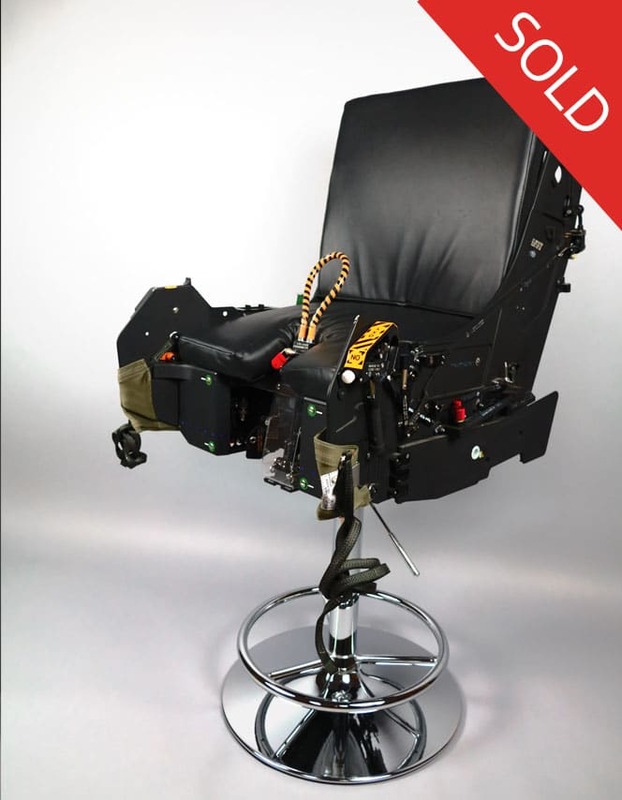 Intrepid design offer this seat retaining the original components, with matching colour custom stand. Intrepid design offer this seat retaining the original, highly polished, aluminium components. 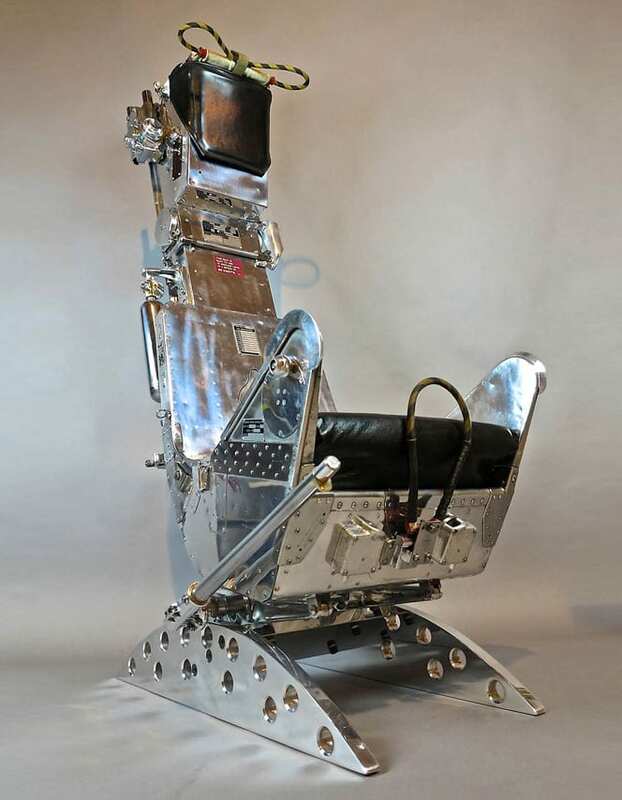 A stunningly detailed, highly polished ejection seat with bespoke leather seat. 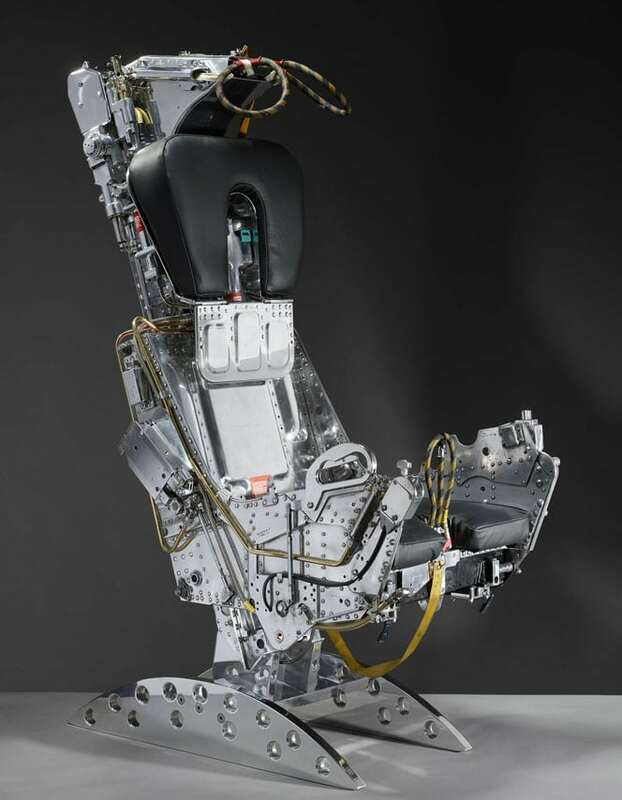 A stunningly detailed, highly polished ejection seat with bespoke leather seat, correct in all its detail. This particular seat excludes the head rest and has been converted to a bar stool style.